It really isn’t easy to wake up and get out of bed if it is really nice and warm compared to the biting cold outside, Specially for someone like me who sleeps like oil I really need some time to warm up. LOL! So I got up checked my email then went straight to the bathroom to fix my self. The water pressure was kinda low so it was a bit of a challenge good thing that the entire house is well heated. It was past ten when I went up stairs at the common area to eat breakfast, that I realized when I checked the time. Breakfast was a bunch of bread and jam a couple of cups of coffee, I needed it I was really sleepy because of all the walking we did the day before. It was really hard for someone like me who depend on how hot it is or how high the sun is when it comes to reading time. Prehistoric right? but yeah most of the time I do that. 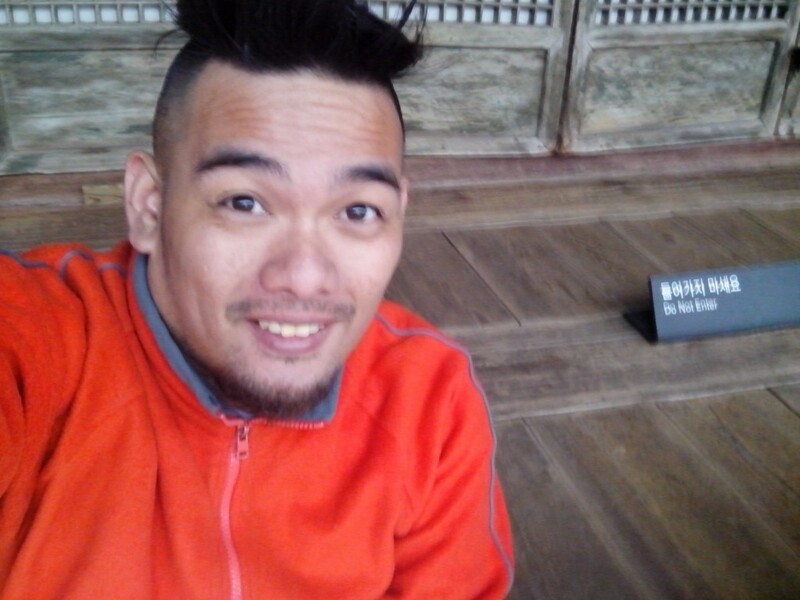 My agenda for the day was to visit the five palaces of Seoul. 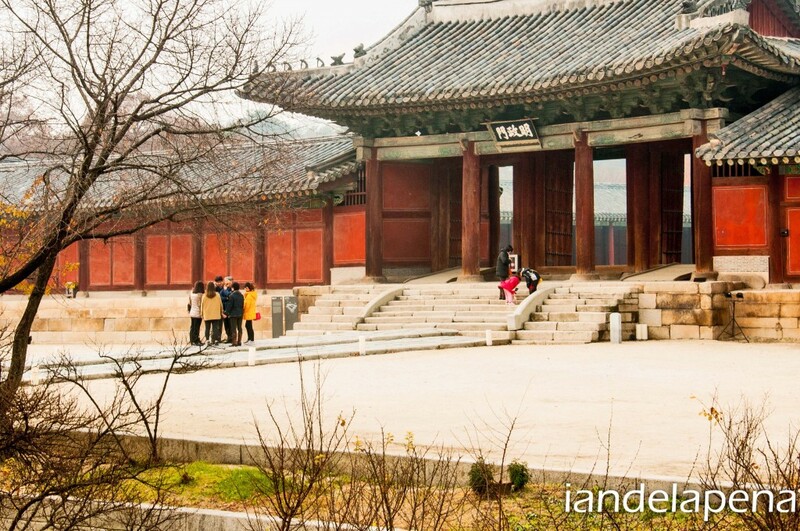 These palaces were built during the Chosun Dynasty to serve as the seat of Korea’s monarch government and to establish Hanyang (now known as Seoul) as the Capital. It would be my first time to see an actual Palace where Royalties have resided so I am really excited as it could be the closest that I could get as to holding the rails of Buckingham Palace. The first palace on my itinerary is just a 5-10 minutes walk from where I was staying, so Instead of taking the bus I decided to just walk and see the urban scenery of Seoul. What I like about walking around Seoul is that comparing it to Manila (though I still walk around a lot in the city), smoke pollution coming from cars are way less making it more tolerable and leisurely to walk along the sidewalks. I also love the fact that Korea has alleyways and promenades where there’s just pedestrian traffic and that if you want to get to your favorite restaurant you’d have to walk! After several minutes of walking an old wall started appearing on my side reminding me of Manila’s Intramuros. I took a quick look at my map trying to figure if I am on the right path. A few more minutes of walking then I found my self standing in front of this beautiful gate fit for a palace. I was standing in awe of this centuries old gate where majesties have come to pass by to their palaces as I told my this is where I really start my journey in Seoul, the house of the royals that established this great society. Coming from my hotel the first palace that I walked to was the Changgyeong Palace. I was really excited that I took so many photos of the gate to the palace from so many angles! I couldn’t leave the gate because I wasn’t that satisfied with the photos that I was taking. It felt like the photos were all over exposed but yeah most of them are which I later on realized that there was nothing that I could do because the sky was such an overcast! I stepped into the royal grounds and all of the leaves are vibrant with its autumn colors waiting for winter to arrive. There weren’t much people inside the palace grounds though it was a weekend but not too empty as well. I read somewhere off the net that there are FREE English tours around the palaces that you can join. The tours are quite informative and the guides speak really good English. I came in just in time for the 11:30 am English tour but I didn’t knew where the starting point is at . I went to the information booth but I honestly didn’t quite understand the instructions of the lady gave me. So I wander around the palace grounds until I heard from a distance a familiar language! Quick as I can, I went up to the group and ask one of them “Excuse me, is this the English tour or is this a private one?” the lady replied and said “No this is the free one!”, I smiled and joined the group. The tour would take you around the palace ground acquainting you with the historic buildings inside the compound. I find the tour guide unintentionally funny which is the funniest of being funny! hahaha! am I even making any sense? hahahaha anyways the tour was fine! I then again went to the information booth and asked for directions on how to get to the other palace which was inside the same complex that I am in. Yet again I did not understand the instructions of the lady, So I just aimlessly walked around until I found my self to yet another door with a booth. I guess I found it. It was the back entrance of the second palace, costs much more than the first one so I guessed that it has much more to offer than the first palace. I payed the fee and got my self inside the complex and yes it didn’t fail me it was way much more elaborate and bigger than the first one that I’ve been to. 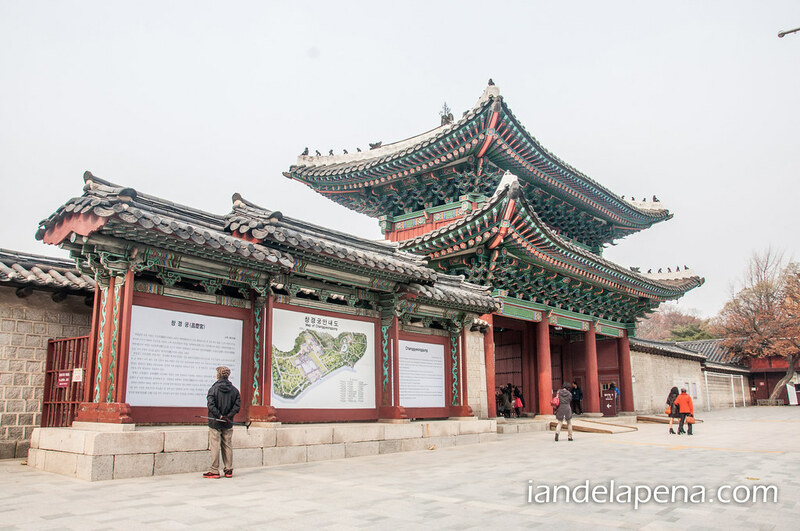 Welcome to the Changdeokgung Palace! A much more elaborate palace the Changdeokgung Palace spreads for acres of land and houses a lot of what used to be government buildings during the time of Korea’s monarchy. 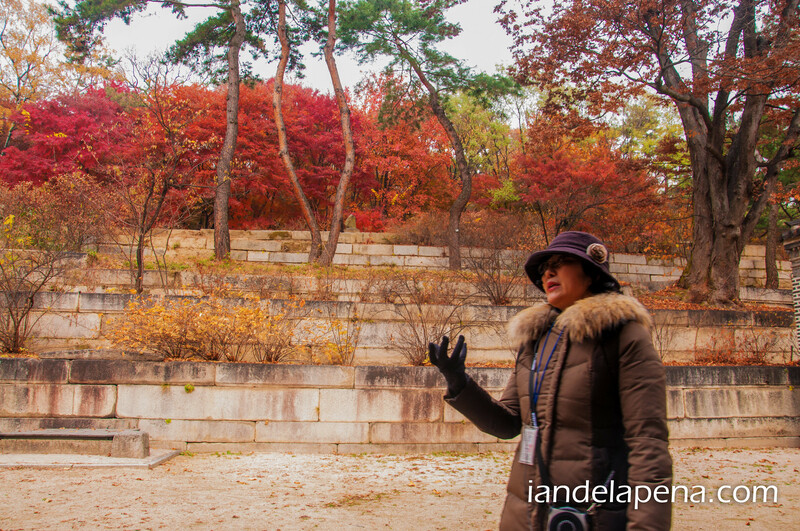 This complex also has a royal garden they call “The Secret Garden” not really a secret back then but only royals were allowed to see the garden concealing it behind the tall palace walls hence the name Secret Garden. This palace also offer Free English Tours for this palace and yeah I think it’s worth joining it because you can learn a lot of things about the buildings and how they contributed to Korea’s history. 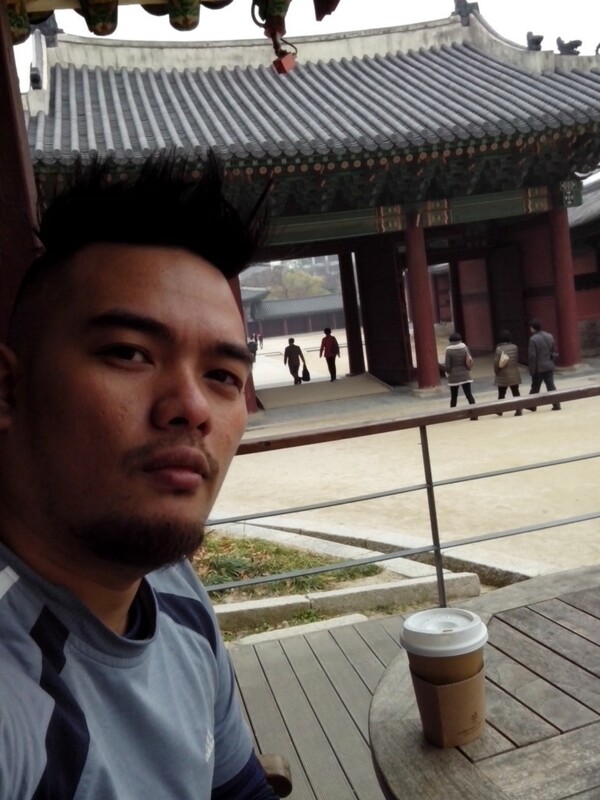 It was still early so I decided to hangout in a coffee shop inside the palace complex. Yeah, coffee is expensive and not good but I didn’t want to go far anymore to look for a decent meal. But yeah, the view from where I was sitting is awesome! The tour started around 2:30 in the afternoon at the front gate of the palace. The tour guide gave us a little history of the palace first like when and how it was built and what not. After a little briefing our guide, Grace, took us to a maze like network of alleyways connecting the buildings of the palace. took us to the nooks and cranny of the complex giving us bits of info that you wouldn’t know if you would just roam around the palace alone. It was drizzling a bit that after noon when the tour ended so I tried to go back to the hotel as fast as I can, but I think I wasn’t really fast enough though. I got caught in the rain and had to take shelter from the balcony of the queen’s residence in the first complex. When the rain subsided a bit I ran across the complex to the gate and on to my hotel. My plans for that they were crushed as I couldn’t go out because it was raining hard again, it was as if the heavens just allowed me to go back to the comforts of my room. I planned to visit all five of the Palaces but because of the rain the remaining three just remained as plans. I spent the day in my room, an upper bunk bend in a warm and cozy mansion. I don’t remember that I even watched TV that day (or even my entire stay for that matter) but I never felt bored. I hanged out in the common area talking to people (whoa! is that you ? hahaha ) and trying to find out what else I could do. I borrowed an umbrella and tried walking around the block where I was staying to see what is there to see. My neighborhood is a cool one with the Sungkyunkwan University just a stone throw away. There are lots of food shops and cute small cafes where you can chill out. That night I walked further than the block where I was staying to look for a good coffee shop. 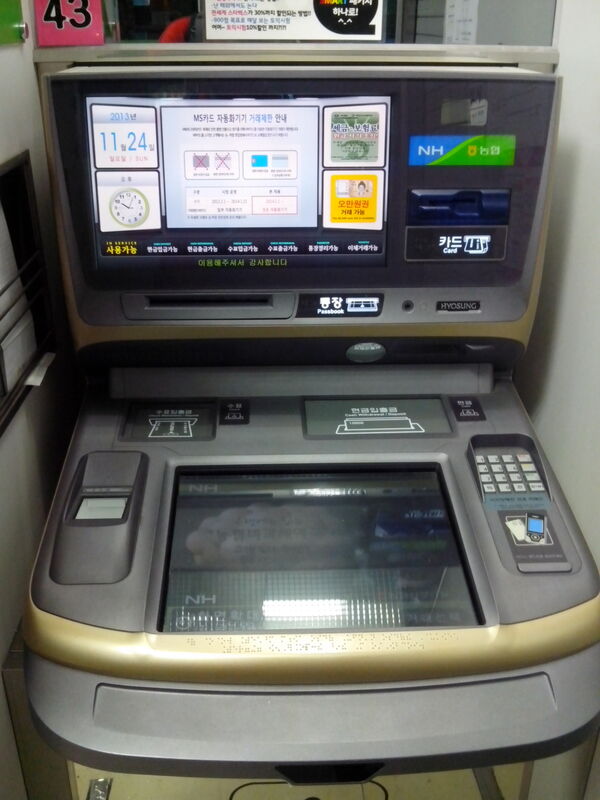 I realized that I had little money left so I searched for an ATM with English instructions and oh boy! It was not easy! I had to look at three different banks I think before I could find one that has English! 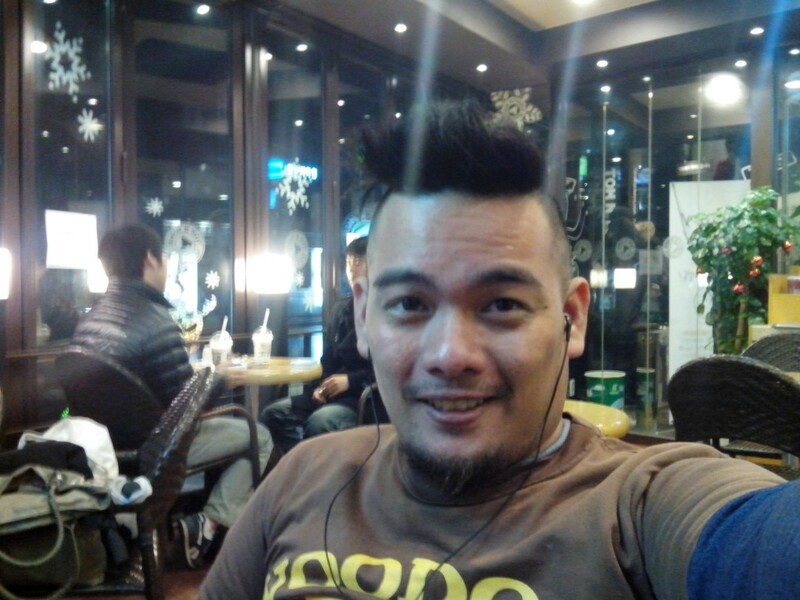 After getting money I continued looking for a coffee shop, Fortunately Korea has a very good coffee culture so I was able to find a coffee shop after just a few minutes. I couldn’t find any Starbucks still open that time but there’s this awesome coffee shop that I found! 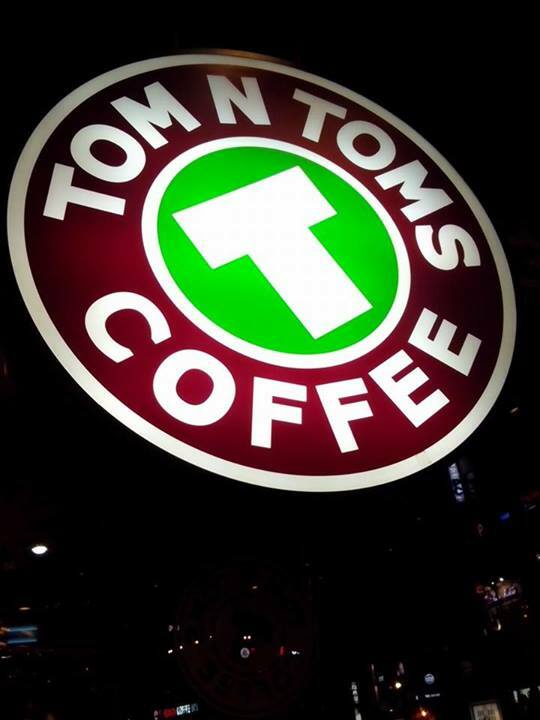 Hello Tom n’ Tom’s! What I like about Tom n Tom’s is that they have a heated smoking area which makes it comfy specially on a cold night like that was. I also like that they have at least three WiFi accounts in the store which you can connect to so the connections don’t slow down! I took advantage of the good internet connection and called friends back home for a little chitchat and uploaded some videos on youtube and yeah it didn’t take that long before everything finished. I was thinking of what to do the following day because the palaces are closed that day and Nami Island is out of the question because it’s just too far. Then I remembered that I’ve always wanted to try the Jimjjilbang (a Korean style spa)! so I posted on a facebook group that I belong to where can I find the nearest one. 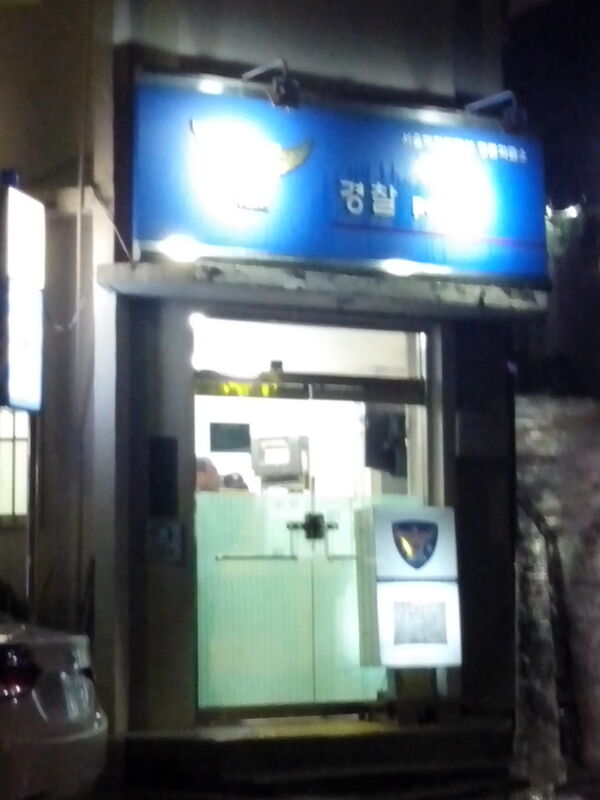 After a few minutes a member answered and it was just near where I was staying at! It was almost three am and I needed to head back to my hotel to rest, well at least I have something to do already for tomorrow. I was really excited since it is one of the things on my list that I really have to try to when I get to Korea!